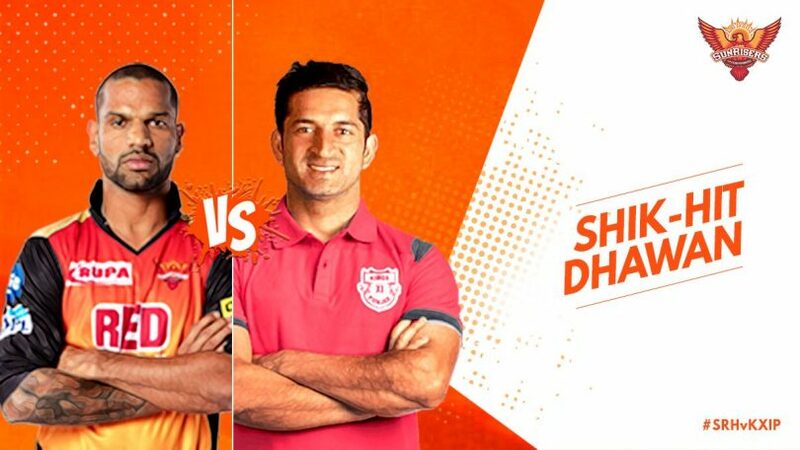 Sunrisers Hyderabad has retaliation on their minds as they face in-form Kings XI Punjab in the Indian Premier League match 25th set to take place in Hyderabad on Thursday. It was KXIP’s ‘Gayle and Rahul Storm’ that had handed out a 15-run loss to the Sunrisers earlier at Mohali. SRH will be hoping to get their campaign back on track after back to back defeats to stop their IPL 2018 campaign. In Bhuvneshwar’s absence, Siddarth Kaul and Basil Thampi will have to take the responsibility of getting early wickets while Hyderabad will bank on Shikhar Dhawan and captain Kane Williamson in the batting front. When is Sunrisers Hyderabad vs Kings XI Punjab Indian Premier League match? Sunrisers Hyderabad vs Kings XI Punjab will be played on Thursday, April 26, 2018. This will be the 25th match of the tournament. Where is IPL 2018 Sunrisers Hyderabad vs Kings XI Punjab Indian Premier League match? Sunrisers Hyderabad vs Kings XI Punjab will be played at the Rajiv Gandhi International Stadium, Hyderabad. What time does IPL 2018 Sunrisers Hyderabad vs Kings XI Punjab begin? Sunrisers Hyderabad vs Kings XI Punjab Indian Premier League match begins at 8 PM IST. The toss will take place at 7.30 PM IST at Hyderabad.